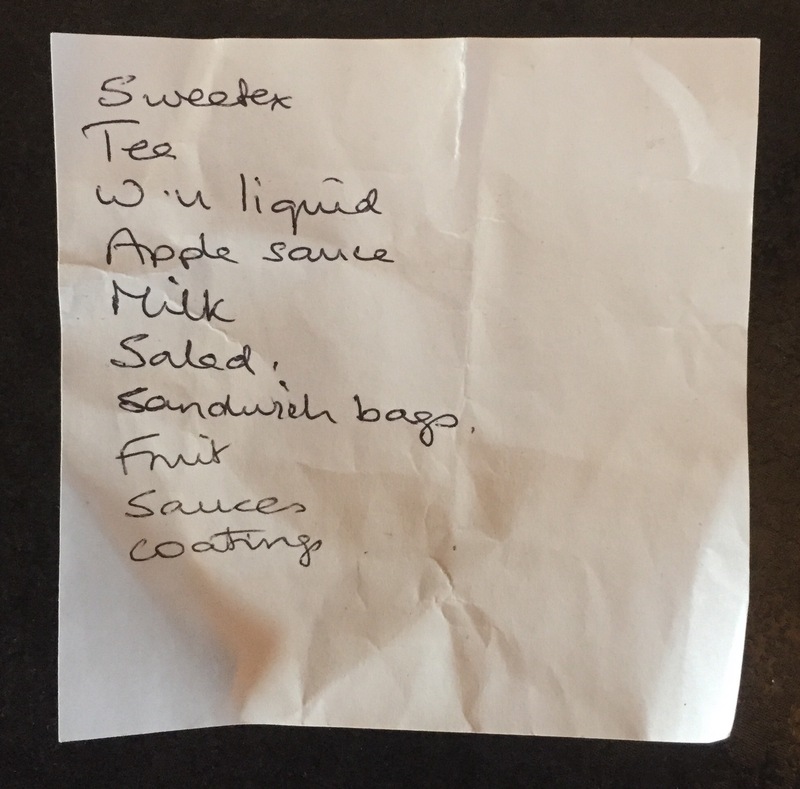 Normal list, tea, milk, washing up liquid, salad, fruit, sauce…. but wait a second, what are coatings? I like the flair on the dot on the i in liquid. And I like the apostrophe in the abbreviation of washing to ‘w’. Coatings could be like rubs for meat or chicken maybe?